We (Fraser and Kim) moved to Lochearnhead in 2008 to live in Briar Cottage, a 17th century “B listed” thatched cottage. Known as Easter Achraw until 1900, the earliest inhabitants on record were MacGregor’s, although they used the pseudonym Murray. The name MacGregor could only be used on pain of death after King James VI decreed it so in 1604, following alleged atrocities by the clan. We keep the postcards above in our lounge. 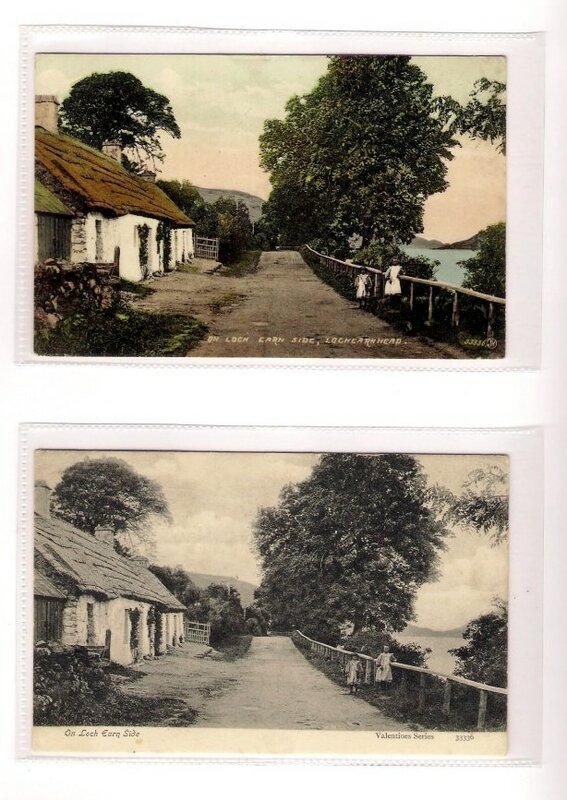 They are titled "On Loch Earn Side, Lochearnhead" from the Valentine's Postcard series and both were posted to Pitlochry. The photograph was taken around 1900. The coloured postcard was posted in 1907 using one King Edward VII half penny stamp. The black and white postcard has four King George VI ha'penny stamps. It was posted in 1944 though the stamp design was issued in 1937. 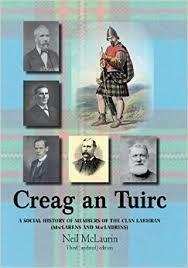 Creag An Tuirc by Neil McLaurin focuses on the social history of members of the Clan Labhran. MacLarens and McLaurins over a 300 year period. 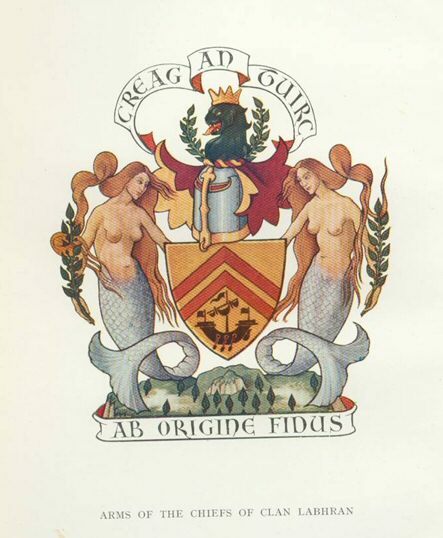 More information is available from the Clan MacLaren Society Meet the chief, chieftan and its diaspora annually in July when they gather for the Balquhidder, Lochearnhead and Strathyre Highland Games held in Lochearnhead on a chosen Saturday. Visit the MacLaren tent and watch them battle against The MacGregors in the tug of war. The MacLaren chief rallies the clan at Creag an Tuirc in Balquhidder on the Sunday morning following a church service. ​Briar Cottage (Easter Achra/Achraw) was home to 200 years of a family of McLaren's. Imagine Kim's surprise when she discovered that her 7 times great grandmother was descended from the local clan. Janet McLaren born in 1670 in the Parish of Comrie. Janet married Patrick Stewart who was born on Lawers Estate in 1665.